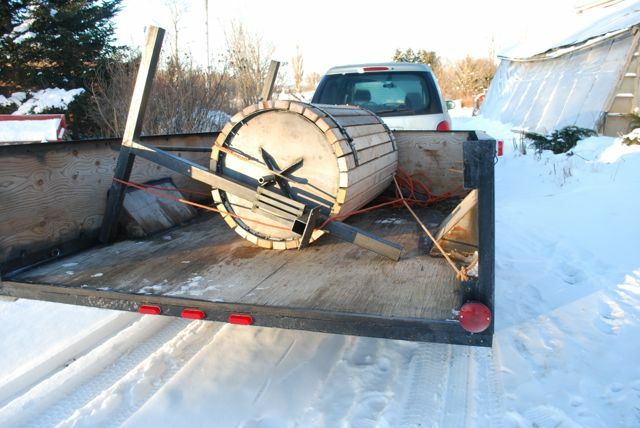 David and Bruce went to New Brunswick to learn how Isaac Villeneuve builds his root crop washer. They brought back one that they helped build and are excited to set it up. This root washer will make washing carrots and other roots much easier for large batches. Stay tuned for more posts on how to build one yourself. This entry was posted in efficiency and tagged carrot, DIY, root crop washer. Bookmark the permalink. Have you made any other posts on this wonderful contraption?? We just started washing fall root crops with it and it is working so well! We made a video of it working, and will be crafting a new post soon with lots of details.